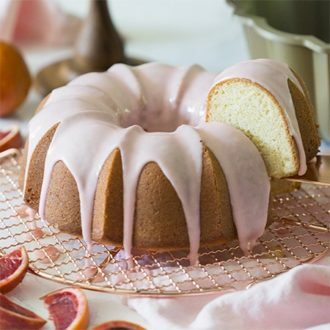 This delicious, zingy and perfectly sweet orange pound cake is crowned with a gorgeous soft pink glaze made from blood orange juice. I’ve been totally obsessed with blood oranges this year. Yes the taste is great; generally less acidic and more perfumed with notes of berry but really it’s that gorgeous color. They’re a feast for the eyes! This orange pound cake is everything you’d want rich, moist and has the best aroma out of the oven. You can use this recipe to make mini bundts or muffins/cupcakes if you’d like to decrease the bake time. 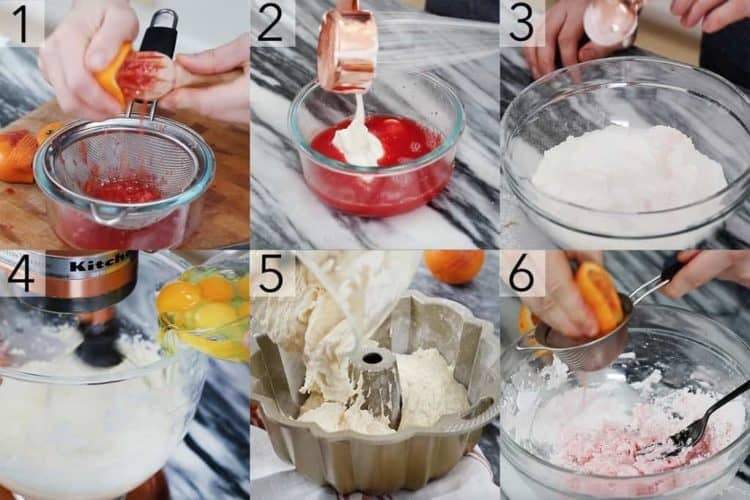 Blood oranges can be hard to come by so use any orange and add some raspberry juice if you still want that pink glaze! The glaze is literally the perfect shade of millennial blush and really complements the cake well. If you wanted more icing, go ahead and cut the cake lengthwise and add some orange or lemon buttercream in the middle. Preheat to 350°F. Thoroughly butter and flour a bundt pan. Juice about ¾ cup blood orange juice. Whisk together flour, baking powder and salt. Alternate adding the wet mixture and orange juice. In stand mixer fitted with a whisk attachment, combine sugar and butter. Beat until fluffy. Add in eggs. Alternate by adding in flour mixture and orange juice mixture to the stand mixer. Add orange zest in. Whisk batter until incorporated. Pour into a buttered and floured bundt pan. Bake for about 1 hour. Let the cake cool to room temperature before adding the glaze. In a bowl, combine confectioners sugar, blood orange juice. Stir together. 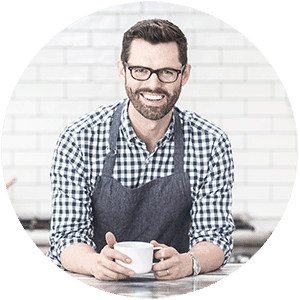 Transfer to a piping bag and snip off the tip. Pipe the glaze over the pound cake. 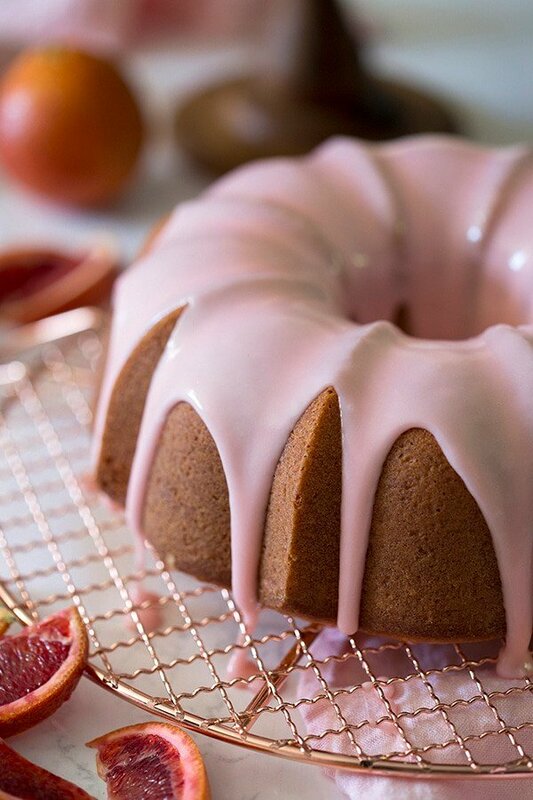 A moist and delicious pound cake filled with blood orange juice and zest. Juice from 1 blood orange. Preheat to 350°F. Thoroughly butter and flour a bundt pan. Juice about ¾ cup blood orange juice. In stand mixer fitted with a whisk attachment, combine sugar and butter. Beat until fluffy. Alternate by adding in flour mixture and orange juice mixture to the stand mixer. Pour into a buttered and floured bundt pan. Let the cake cool to room temperature before adding the glaze. In a bowl, combine confectioners sugar, blood orange juice. Stir together. Pipe the glaze over the pound cake. You can use any type of orange to make this cake and the taste will be very similar. 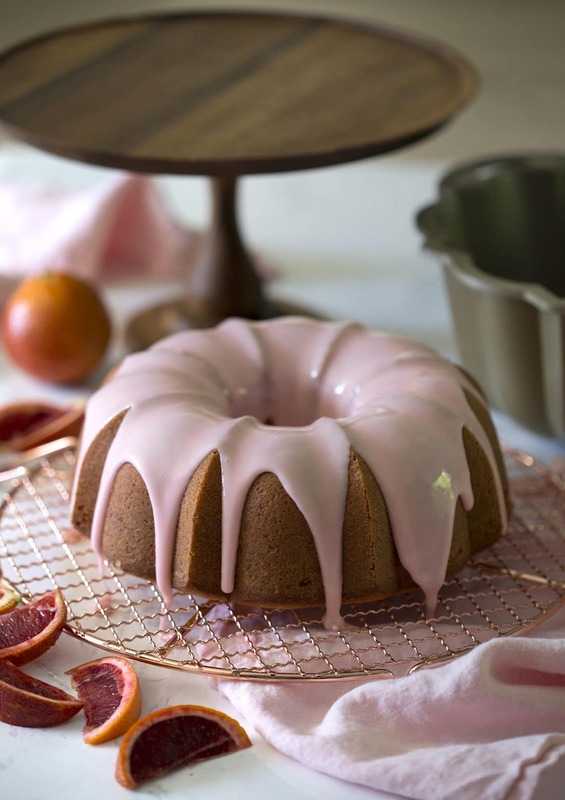 I just LOVE the soft pink glaze you can make with blood orange juice. This recipe is gourgeous. I’m gonna make it tomorrow but i don’t have a pound cake pan. Is a 9 inch round cake pan okay? I’m not sure how tall your pan is, but you may have some left over for cupcakes! Hope that helps! My glaze was extremely thin. I used my scale to measure the sugar and had one Car Car orange. I even added extra sugar but it was still to thin. How do you know what proportions sugar to liquid? Have not tasted cake taking to my granddaughter,s 16th party. If I substituted the oranges for lemons, would this make a good lemon bundt cake? Or would it just be better to find another recipe all together?